You don't need any woodworking skills to build these six beautiful little gardens. To be perfectly honest, we all secretly love that feeling of giving a home tour to guests and neighbours and hearing them exclaim their approval. Whether it’s our excellent choice in hallway wallpaper, our beautiful selection of kitchen accessories, or our magnificent commitment to stunning living room sofas, hearing the words “beautiful”, “stunning”, and “wow” is always welcome. But why stick to beautiful interiors when you can also receive compliments on your stunning exteriors too? By dedicating yourself to some regular maintenance and creative ideas, your garden can also draw a few envious glances. 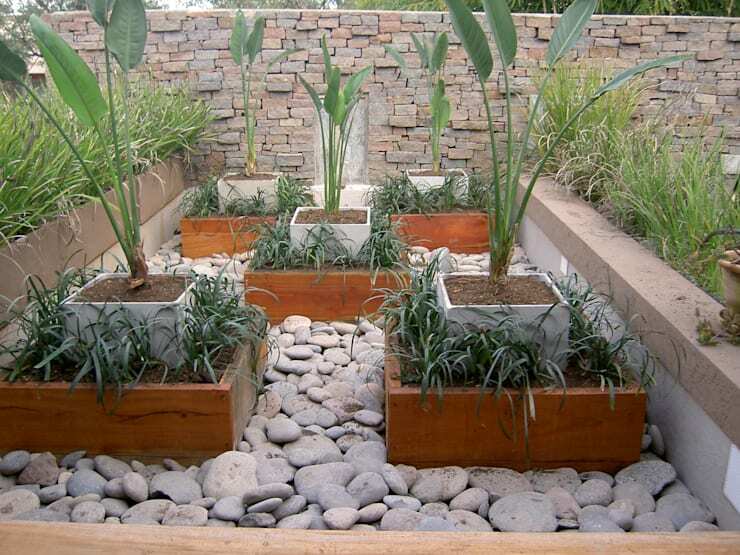 Fortunately for you, we have already done the creative-ideas part, so see below which of these very easy tips and tricks you want to try out for your garden space. This garden certainly doesn’t need lots of space to be striking. Lawn? Check. Stepping stones? Got them. Decorative pebbles? Yup! Everything is here on small scale, but you definitely can’t deny the appeal – and it looks so easy to recreate. We are just in love with the furniture- and décor details that make up this garden spot. Who would have thought that a mirror could work outside? The lush planted pots ensure green freshness, contrasting so beautifully with the timber-panelled walls/fences. A charming little café-table set ensures a cute little seating spot, while the mirror doubles the entire scene’s effective design. Depending on the terrain, shape and size of your outdoor space, garden furniture pieces can be quite ideal add-ons. See how a rustic wooden bench, garden lights, and beautiful potters add charm and style to this outdoor area. 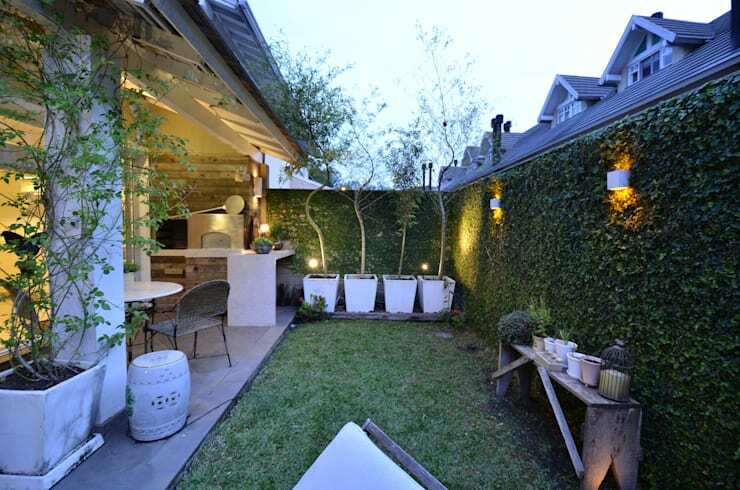 homify hint: By keeping furniture off the grass, your garden will appear bigger. And the use of trailing foliage helps to blur the lines between lawn and walls. Don’t you just adore this simple yet very effective garden which shows us what is possible with some imagination and a few hours? 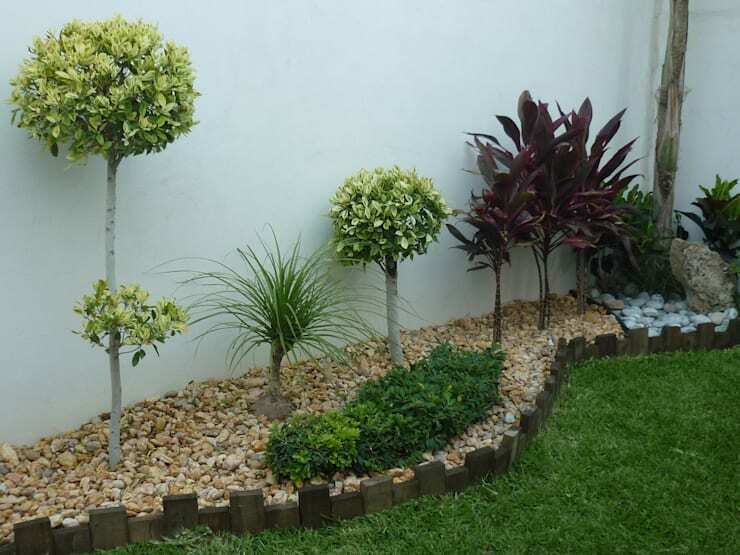 With those plants already in place, you can dress them up so stunningly with some stones and pebbles in different colours. 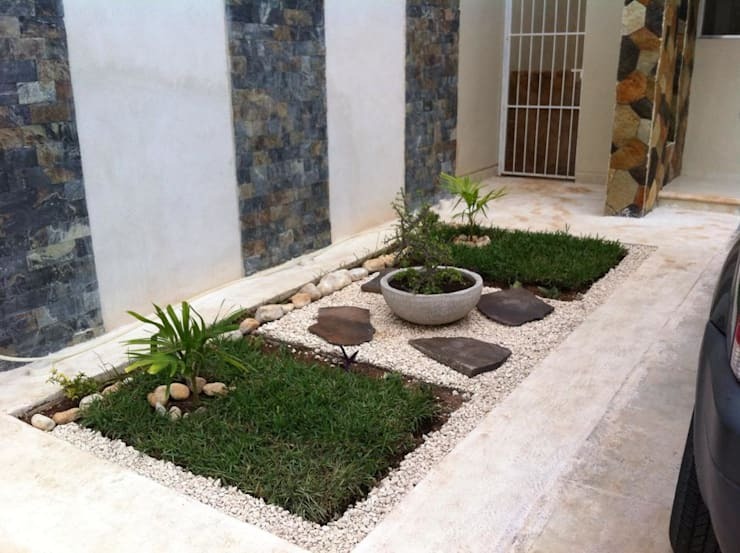 Striking garden additions like water features doesn’t necessarily mean digging up a giant fish pond. This small fountain takes up very little space, yet is most eye-catching thanks to the aesthetic design surrounding it. You can never be 100% sure about what your plants’ exact sizes and shapes will be, but you can instigate some organisation with symmetry. Proportional and mirrored layouts can make a big difference, and are ideal for those of us who don’t really fancy the lush and natural look for our gardens. 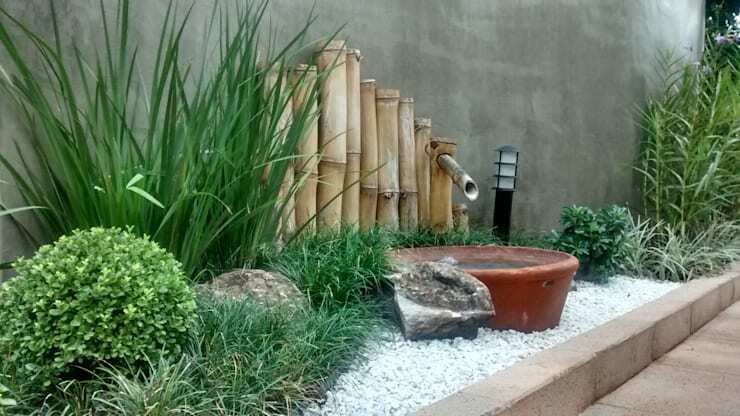 Just see how easy this little Zen-like garden makes it look: pebbles, timber platforms for the potters, and manicured plants – done! The striking stone wall and water fountain in the background are, although recommended, completely optional. 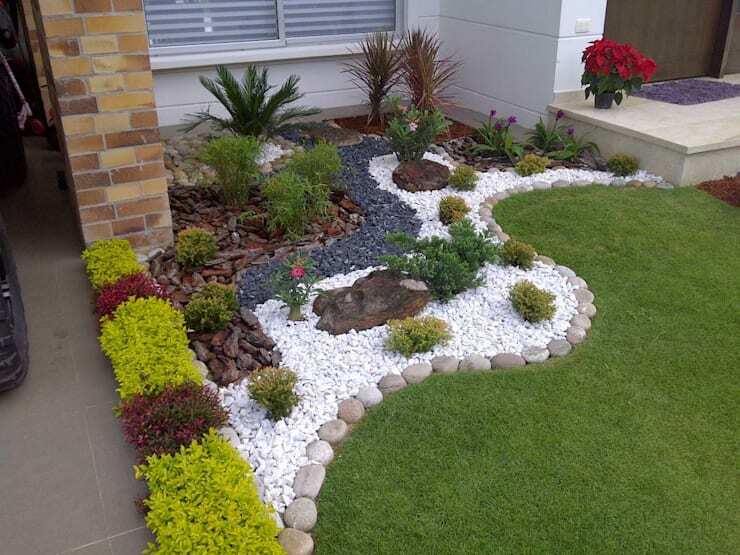 Don’t rely on only your beautiful lawn to make up a stunning garden. Add some detail to keep it interesting, as this wavy edge border has done, neatly keeping the plants and flowers in place while also skilfully framing the foliage section of the garden too. No need to share your garden space with your nosey neighbour. 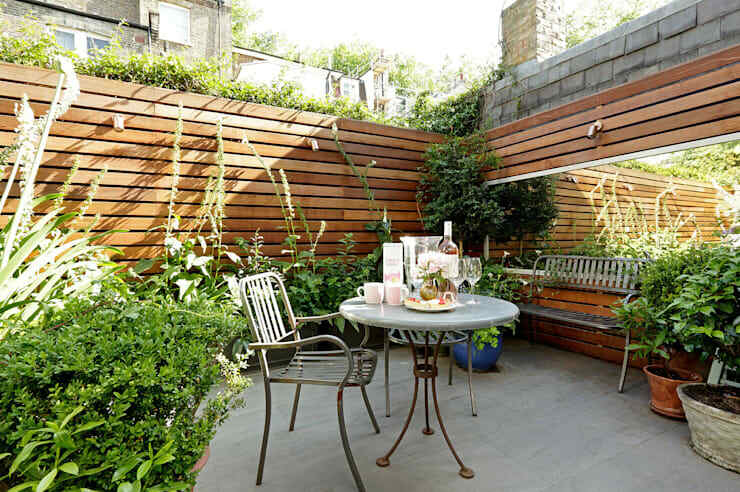 Take a look at: The best garden privacy options. What tips will you be using for your garden back home?